What do you do when the heels on your boots are both falling off and you brought them years ago. Throw them away? Re-stick, recycle, re-fashion and reuse!! And oh so original! how many people have this style boot? Only me in the world!! haha…. It is great having a mum who is a sew’s for a living. Over the years she has collected a lot of goodies along the way. She often sorts me out some goodies to recycle my things. Last week she gave me some sweet butterfly motifs and this brown ribbon and this is what I came up with!! Lay your boots down and pop the 5 butterfly’s on each and have fun finding a pattern you like by moving everything around. 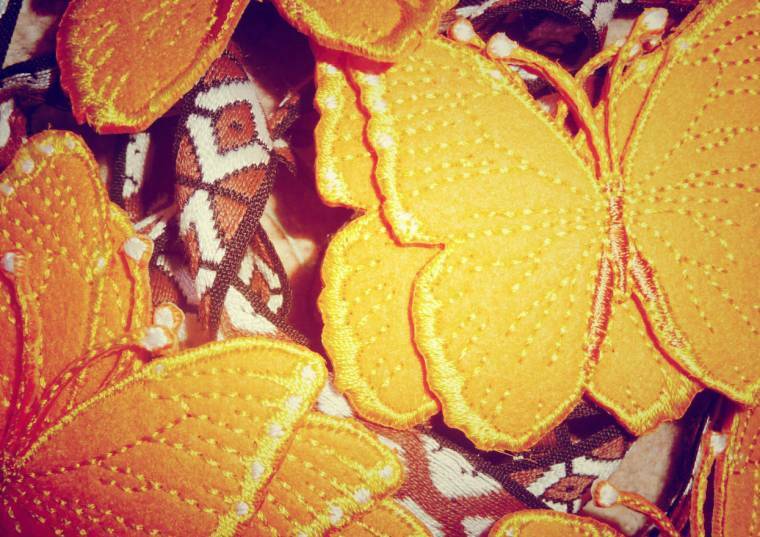 Once you are happy with the pattern glue the butterfly’s down and hold for a few seconds. Measure the ribbon for the tops x2, however long you need them to be, and remember how long you want the ribbon to fall, not too long, then x2 for the bottoms. Cut with the pinking shears. Glue all 4 around the boots until nearly touching. I finished with the top 2 meeting at the back, bottom 2 meeting at the side. One dry tie each ribbon in a double knot. what a cute idea! i love how they turned out. So creative and so fun! I still am on the hunt of a fun pair of boots to wear! How fun and stylish! I would have never came up with an idea like this. You are so creative! WowwwI loooooooooooove these boots! !Claire – you are so creative!! 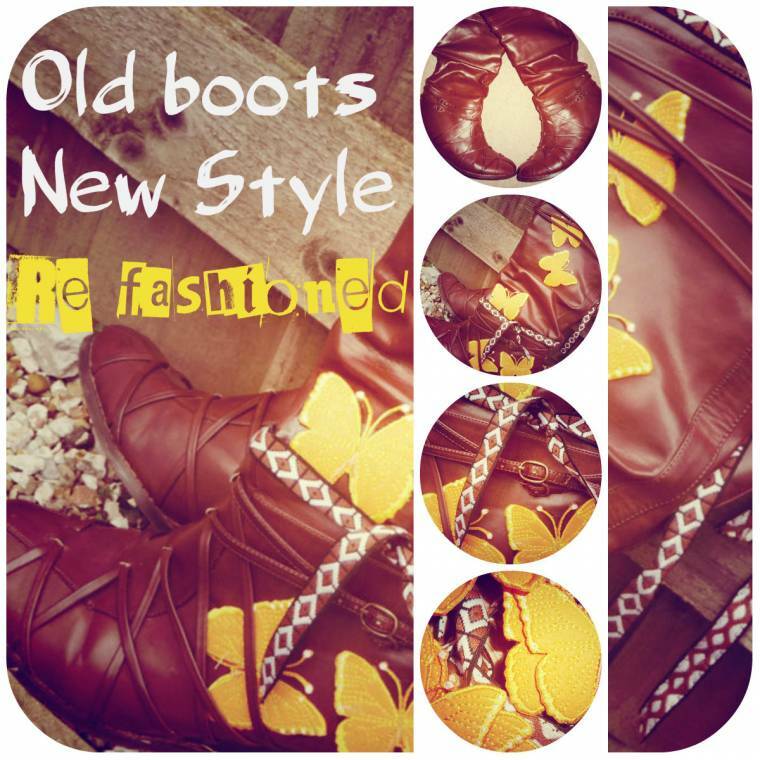 This was a great idea you gave these boots a totally different vibe! Visiting from #AllAboutYou for the first time. Angie from reasons to dress, life as an expat mom in Italy. Wow impressed yet again …i do hope you wear them out and about !!! very well done ….